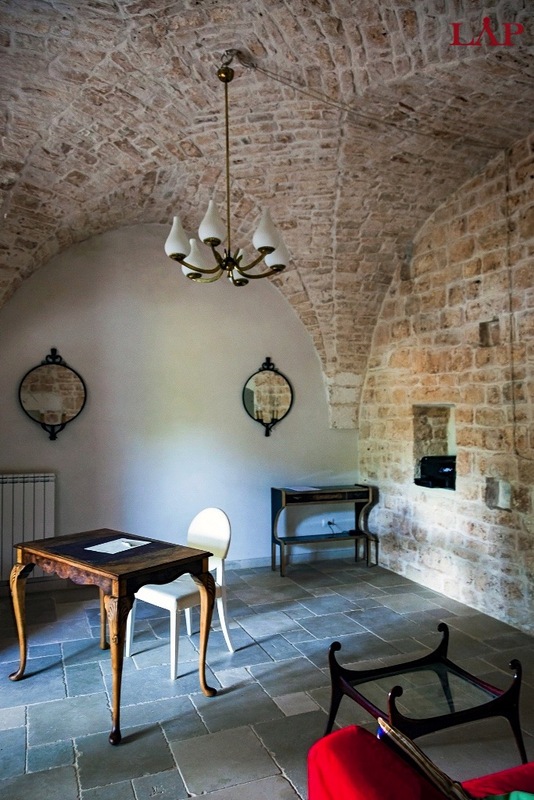 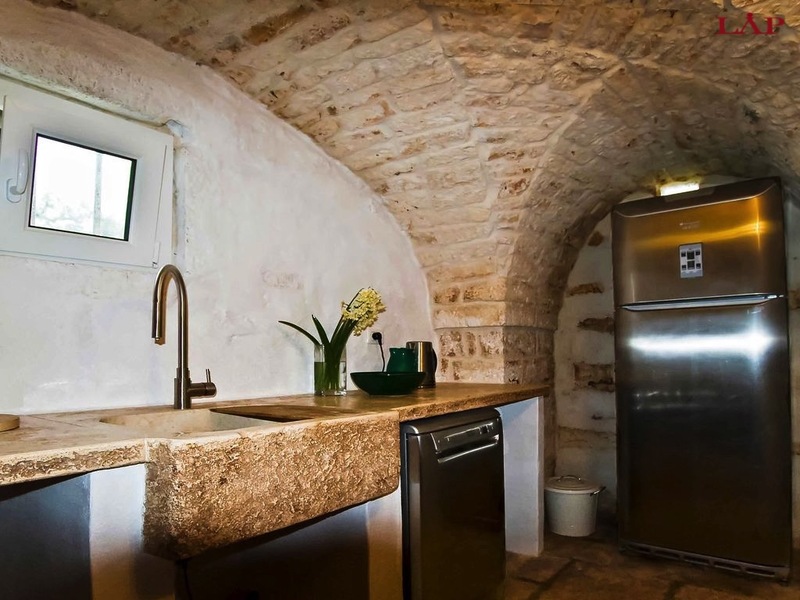 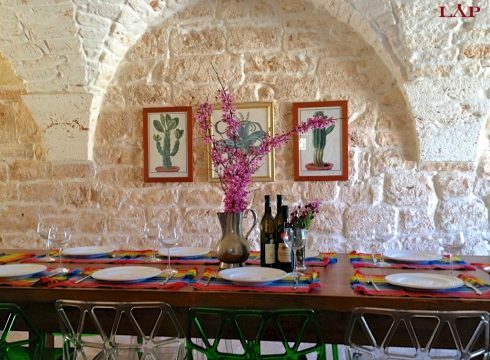 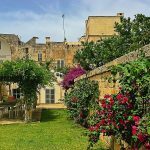 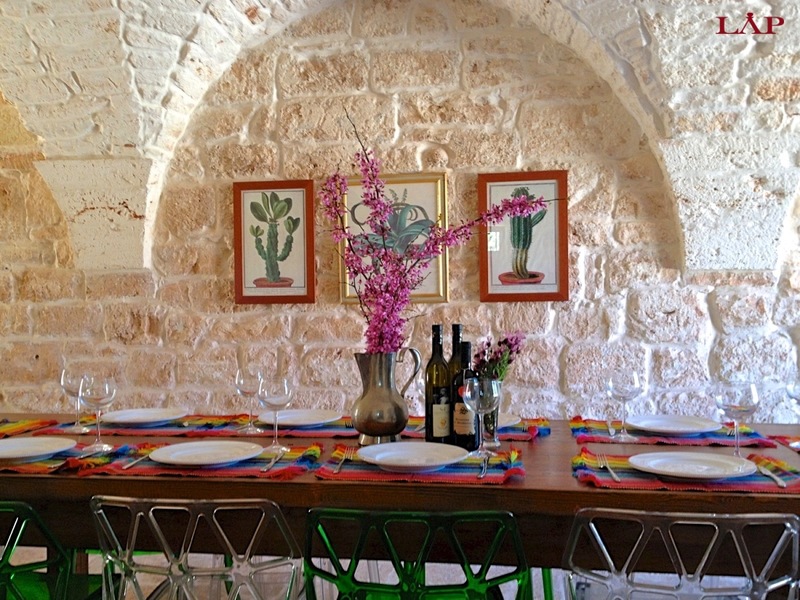 Masseria Ceglie Messapica is a special historical place. 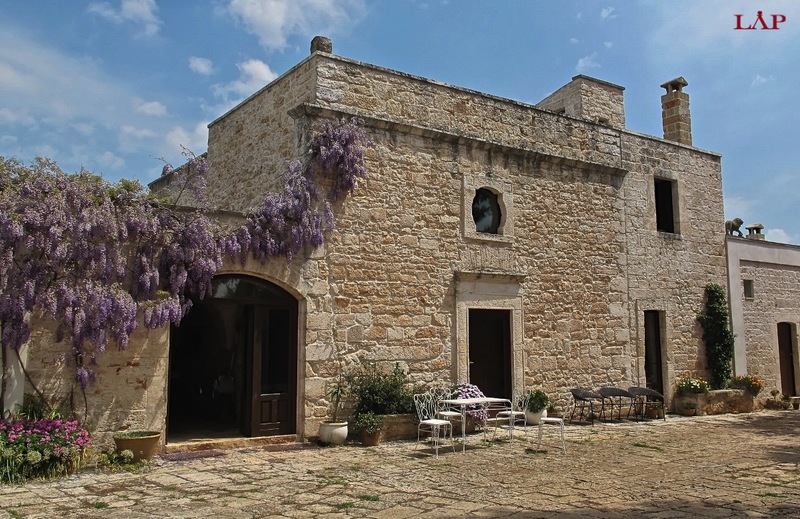 It is known as the Godfather of all prime Medieval towns in Puglia, South Italy. If the Indo-European people called Messapian’s first inhabited Apulia, then Ceglie Messapica was their homeland. 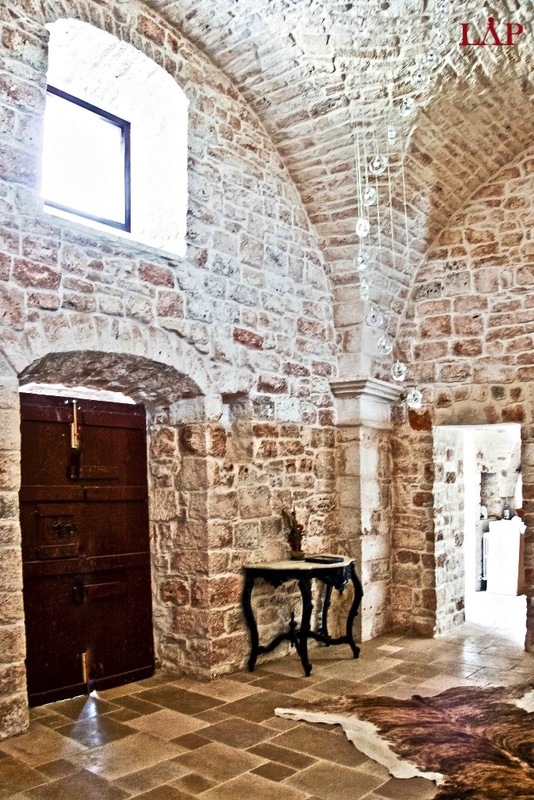 Masseria Ceglie Messapica which was once used as a church by Byzantine monks, is a registered historical monument that includes frescoes dating back to the 8th century painted on its walls. 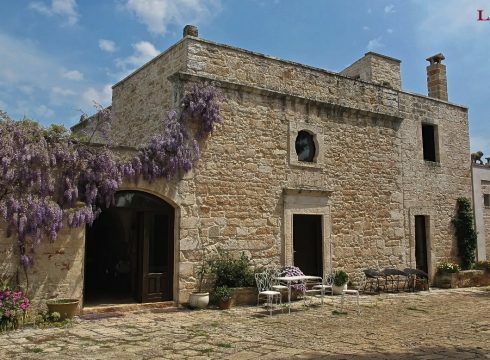 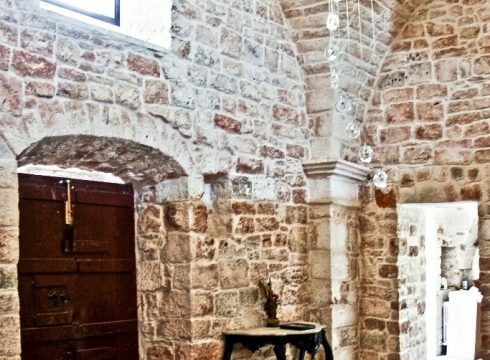 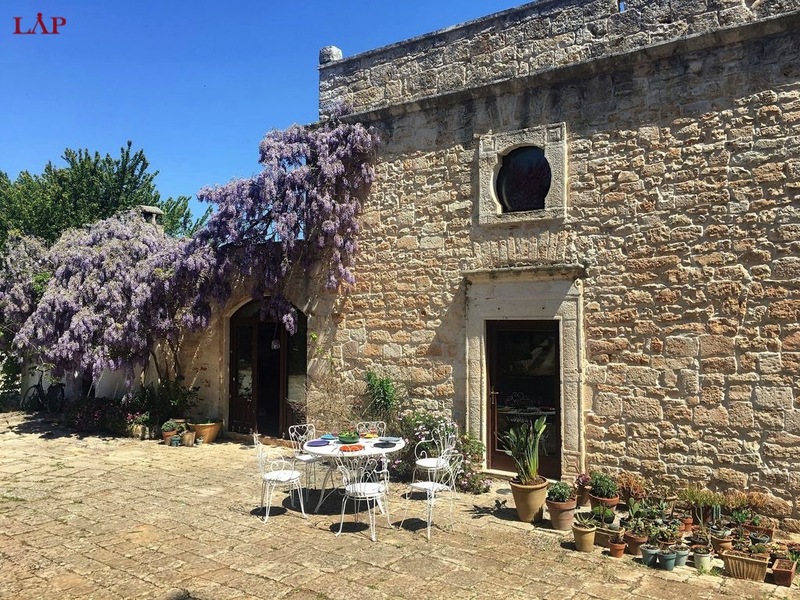 The ancient stone farmhouse was originally built in the 1300’s as a chapel and eventually transformed into an aristocratic real estate property. 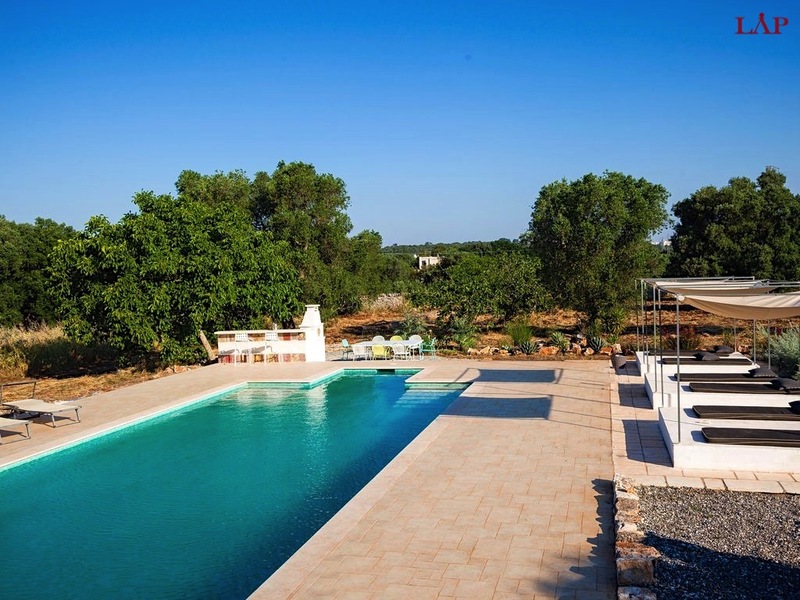 The grounds are situated on 5 acres of untamed land dotted with olive and almond trees. 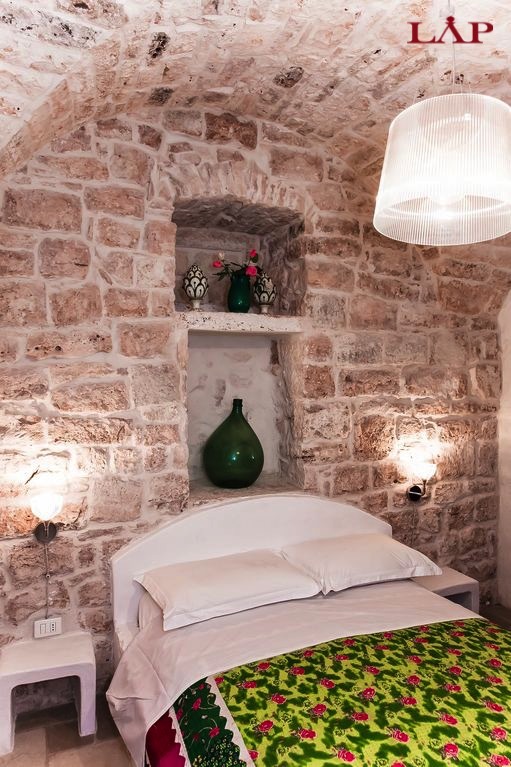 Only minutes away from the old town of Ceglie Messapica. 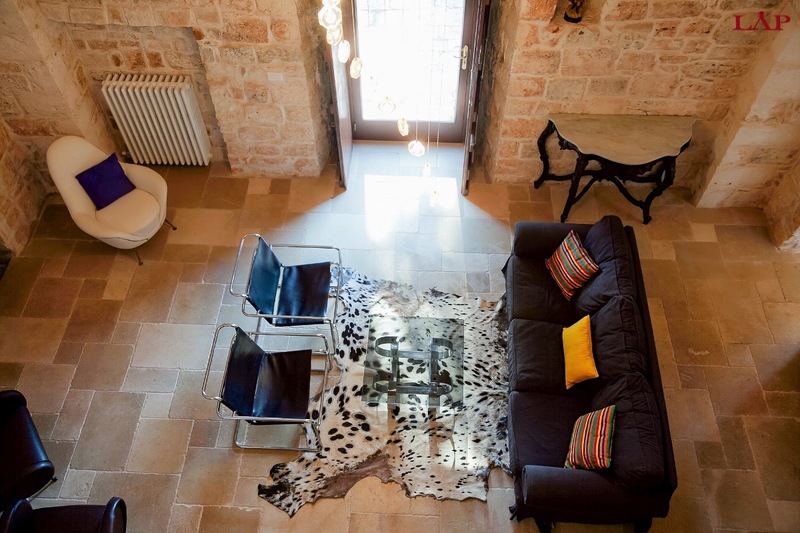 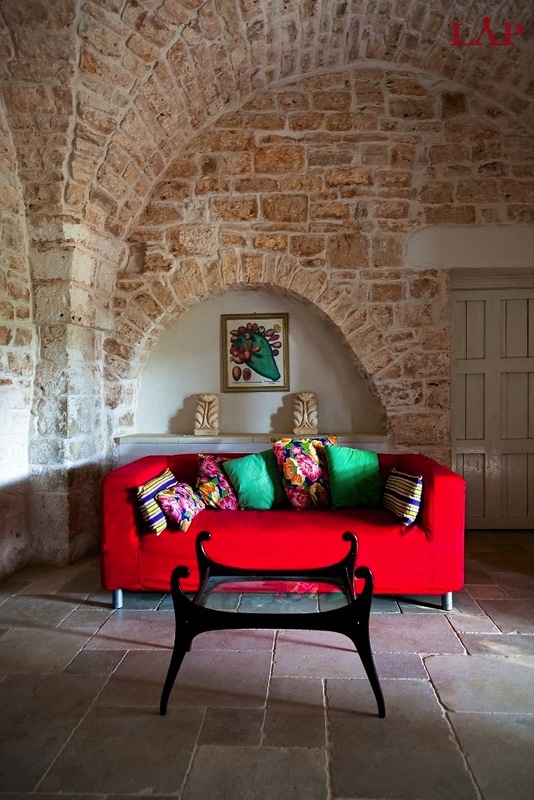 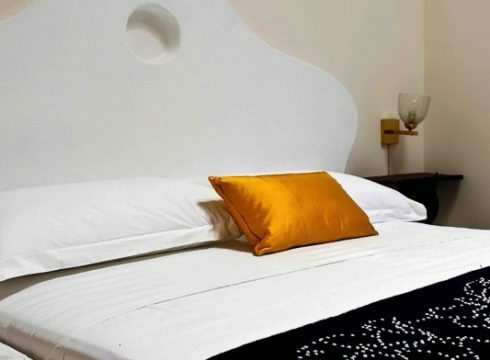 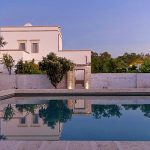 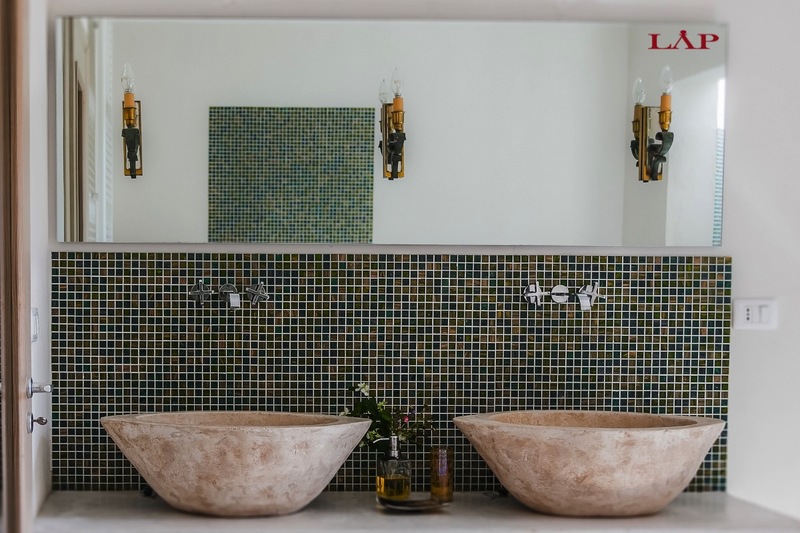 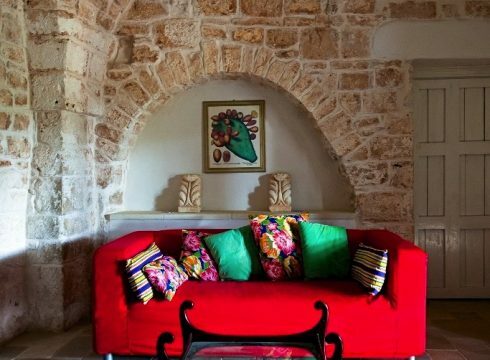 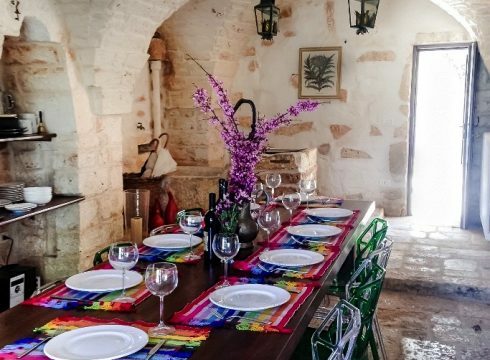 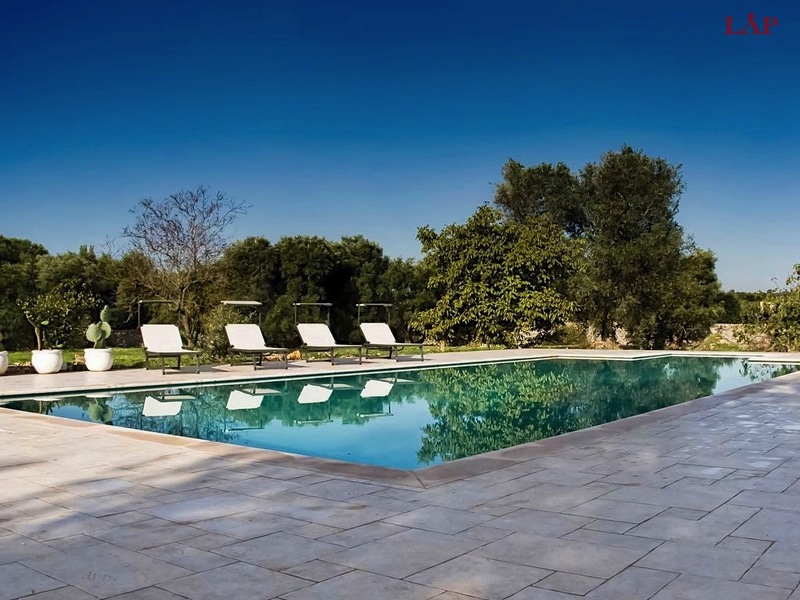 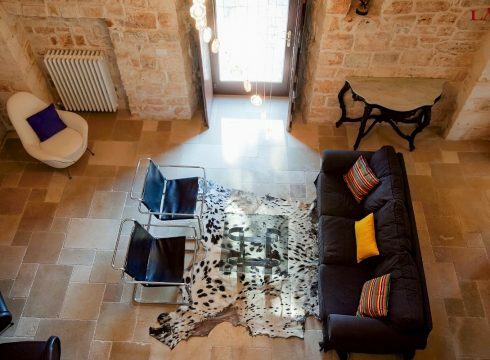 Masseria Ceglie Messapica has four bedrooms, three of which are on the ground floor and have en-suite bathrooms. 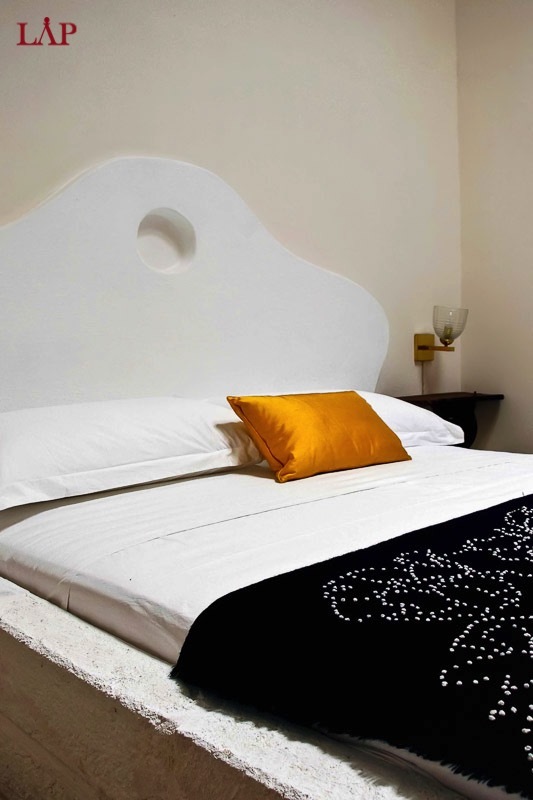 Of these three bedrooms one has a king size bed and the other two bedrooms have double-sized beds. 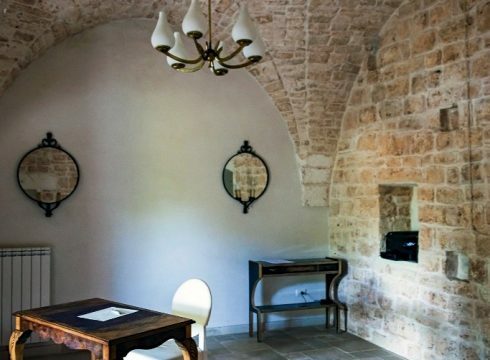 The fourth bedroom is on the first floor known as the ‘Masters Tower Suite’ and it has twin beds and high vaulted ceilings. It also comes with an en-suite bathroom. 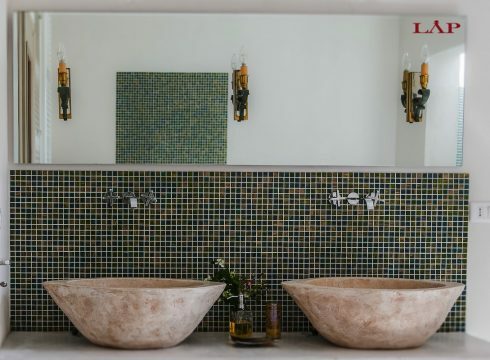 The 5th bathroom is near the reception area of the house. 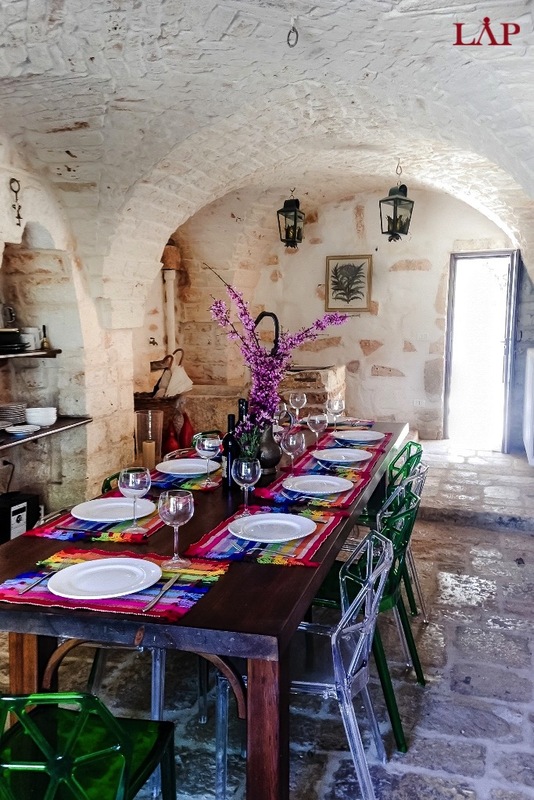 The kitchen offers all modern amenities a chef requires as well as a large dining room with direct access to the garden. 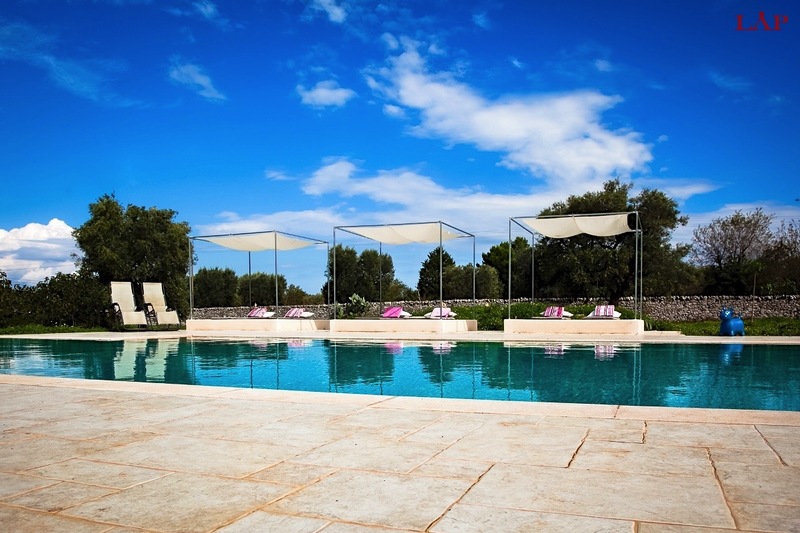 The swimming pool area is cozy and comes with tented cabanas for relaxing. 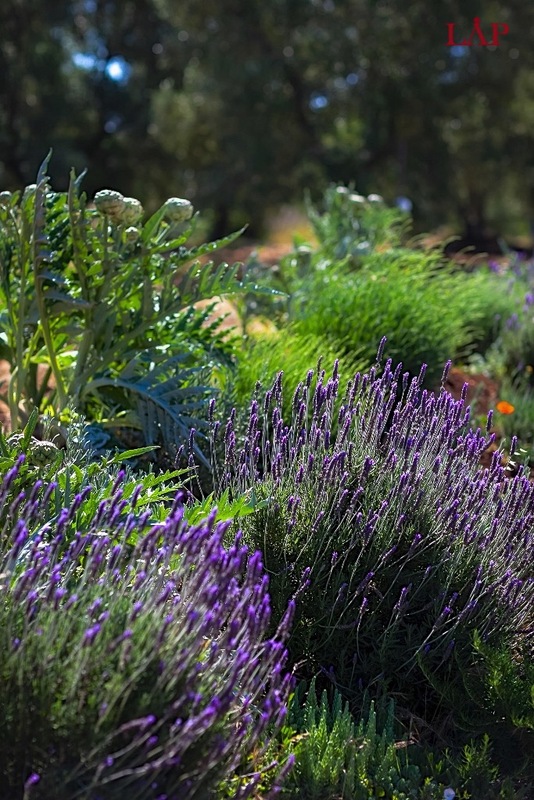 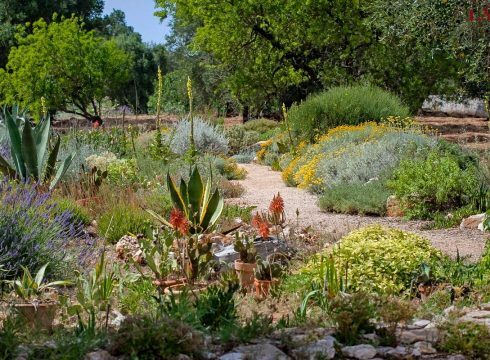 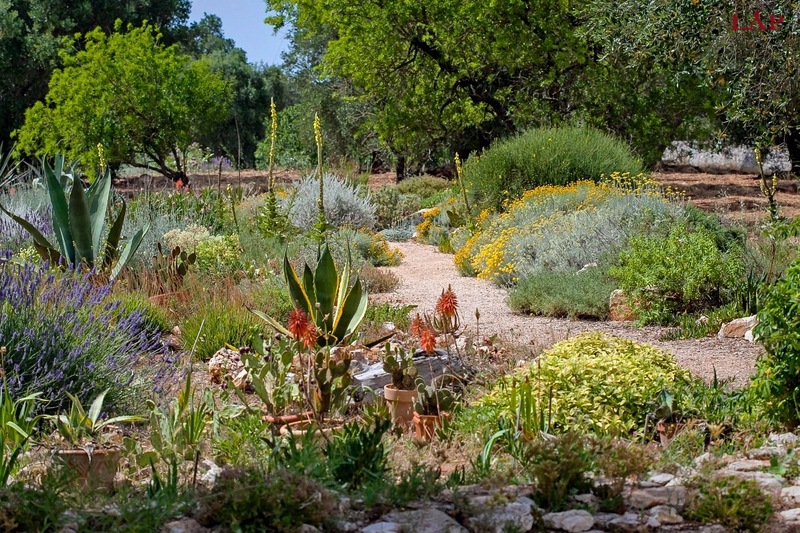 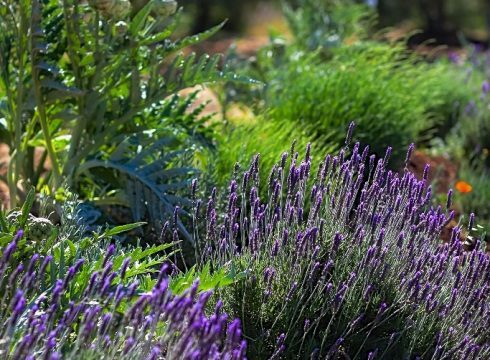 The garden is full of fragrant Mediterranean plants, including fruit trees and herbs. 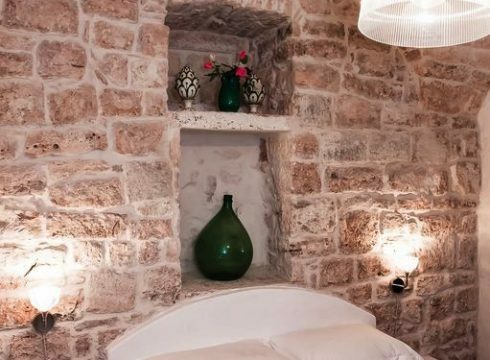 Finally for the adventure spirits there is a natural grotto made out of a 60-meter deep limestone cave..